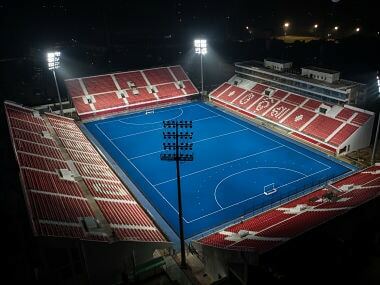 Two hours before the women's hockey final between India and Japan on Friday, opposite the Grand Stand, yellow linoleum seats were gleaming in the bright stadium light. Half an hour before the final, 7.30pm, they were full, the tri-colour fluttering and there was a buzz among Indian fans that filled up 80 percent of the available seats. 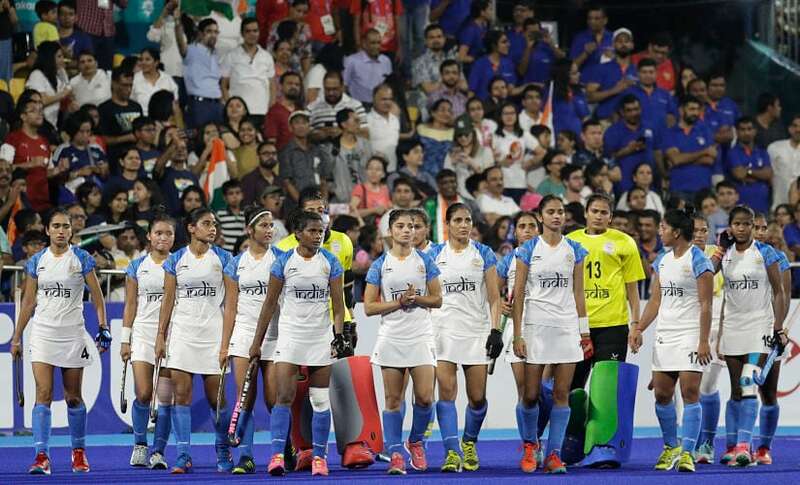 As the Indian women warmed-up, resounding cheers reverberated around the small stadium. This was by far the biggest Indian fan turn-out at the Asian Games. After the match, the Indian captain, Rani Rampal, said, "Amazing! Hamare match ke liye itne Indian fans." She would be terribly disappointed too. Silver medal around her neck, she spoke about letting the fans down, on the missed chances, the opportunity of creating history and a team that reached the Asian Games final after 20 years. The last time in Bangkok, '98, India lost to South Korea 1-2. Twenty years on, the rivals are Japan but the margin is still the same. The disappointment may be deeper. In '98, the Koreas were superior. This time around India were ranked 9th while Japan, 14th. The loss hurts. But Rani admitted grudgingly that Japan, for stretches in the four quarters, controlled the game better. Rankings are an indulgence in modern hockey. Except for the top four, anybody can dislodge the other from its pedestal. The Irish women recently played the World Cup final against the No 1 ranked team in the world, the Dutch. Ireland were ranked 16th. Better coaching, deeper insights into the sport, improving infrastructure has bridged the gap that earlier existed when Ric Charlesworth's Hockeyroos dominated for almost a decade. Riding on the quarter-final appearance at the World Cup in an extremely close fought match with Ireland, India came to the Asian Games, confident of winning gold. It's a missed opportunity. Unlike the men who imploded in their semi-final, the women, though ragged for certain patches in the match, held their own and on the strength of individual skill, possession and created enough to have closed down the match. That is the part that will bother them when they wake up in the morning, hold their silver medal to finally realise how close they were to gold. Japan rose to the occasion. 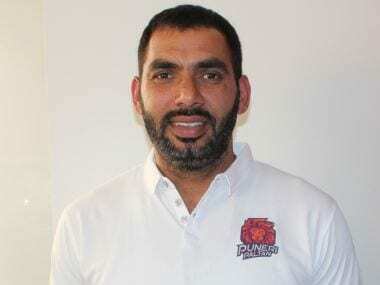 They controlled the match knowing players like Vandana Katariya, Rani Rampal, Neha Goyal, Udita, Navjot Kaur and Navneet Kaur could cause serious damage. The importance of the opening goal was underlined in the extended celebration that came after Minami Shimizu hit a flat shot that went off Savita Punia's gloves and into goal. Before that, Lalremsiami, Navneet and Rani missed sharp chances that should be put away, particularly in a final. "It was important to be on the scoreboard so that we could have applied more pressure," explained Rani. "After that, we were chasing and you have to come out of your comfort zone to be able to mix up things to look for the equaliser. You are also vulnerable on the counter." At times, the fluency came back like flicking a switch on. And for minutes, the play became so ragged that turn-overs gave momentum to Japan when India were the one seeking it. Sjoerd Marijne, the Indian coach, knew the weaknesses. The urge to deviate from the script, — an issue with both men's and women's teams — the urge to take on an extra defender, to dribble past another stick. All this killed the momentum when India needed it the most. At the back, Deepika Thakur, Namita Toppo and Deep Grace Ekka held their own. Grace, as usual, was rock-like with hits that pierced Japanese defence and midfield like spears. By the end of the first quarter, India were moving well and it looked imminent that an Indian equaliser would come. Japan, a bit ultra-defensive, played structured hockey making it difficult for the Indians to get past, thus, the tendency of the Indian women to use individual skills and beat Japanese defences. In the 24th minute, Neha Goyal slipped in behind the Japanese defence, into the shadow of their goalkeeper as Navneet drew the defences to the left of the striking circle before hitting an inch-perfect reverse shot. Neha, almost, sitting on the turf, deflected it in for a wonderful goal. It was a trademark goal from a player who runs like she has springs below her feet. Running and bobbing all around the field, she's a presence that doesn't look menacing but has this enormous ability to slip below the radar and in a blink of an eye, tap in the goal. Japan realised the mistake and while India took the ball back to the centre of the pitch, got into a quick huddle and focused to get back ahead in the final. Japan's Mayumi Ono, their tall withdrawn midfielder playing slightly more defensive, opened up and played in through passes to the diminutive Motomi Kawamura, who in the 3rd and 4th quarter, raised her game giving a torrid time to the Indian defence. It was because of Motomi's trapping in the midfield and her runs through the middle that India had to constantly fall back. The momentum, so essential in trying for a lead or a match-winner, was blunted. Yet, India blew away opportunities to close the game down. Udita and Vandana either saw their hits go off defenders' sticks or tried to look for more space before shooting allowing the goalkeeper to close the gap quickly and save off her pads. A little more patience and calmness could have given this match to India. "We had the chances to close it down," said a visibly frustrated Marijne. "But I am terribly proud of the team and the way they have responded to the challenges. Yes, we were close, very close." With a minute left in the 3rd Quarter, Japan had their 2nd penalty corner. This wasn't going to be a direct effort. Japan knew that Savita Punia was strong on stopping direct flicks and only an indirect or a dummy run could give them an opening. Motomi is not their usual flicker but she picked up the ball and went to the left, dragging an Indian runner away with her. 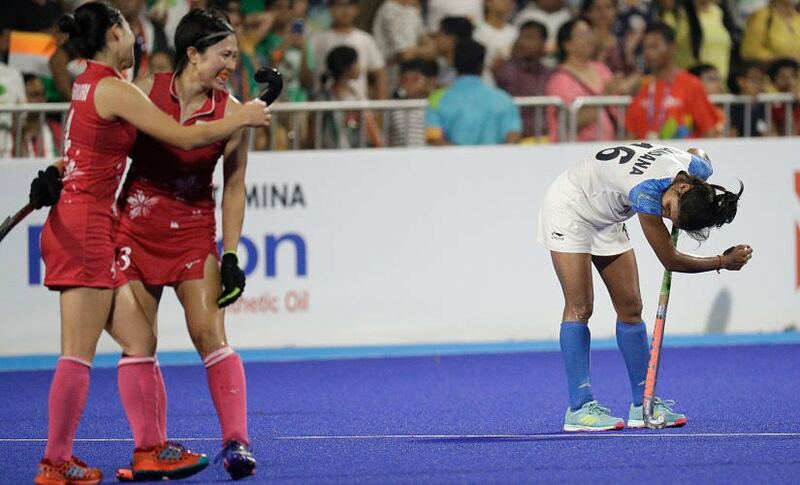 Savita fell to the turf, pads outstretched as Motomi unleashed a reverse hit that flew past Savita's pads and Monica's stick on the line. It was a strategic strike and Japan had pulled it off. It also gave an insight into the preparation that the Japanese did coming into the final. Possession was key for India. They had to create and put some unbelievable pressure on the Japanese. But the turnovers hurt them. Still, there were a few chances in the Japanese striking circle which were wasted. Japan had no intention of extending their lead. They put their heads down and were defensively solid. In fact, with five minutes left in the match, with acres of space in the Indian striking circle, Japan took the ball to the extreme corner and just dribbled. India, unable to collect the ball, saw three minutes just fly away and so did their hopes of a gold. India did create an attack in the last minute and even asked for a referral looking for a penalty corner with 39 seconds left on the clock. But once the video umpire refused, the Japanese bench celebrated. They knew they would hold India. Surrounded by fans outside the stadium, Rani spoke about the mission of winning gold and how it slipped away. "We did dominate the match and we felt we could have come away with a better result," she said, visibly upset. "But we have to contend with the silver and hope we can build on this result." The Indian captain believes India have a very good core group and can become a dominant force in the next four years. "This is a brilliant group we have here," Rani said. "And we want to achieve a lot as a group. We will work hard when we get back and now we must focus on qualifying for the Olympics." Marijne believes there were chances that could have been utilised but also recognises the better-organised Japanese side in the final. "They played better and deserved to win," he says. "We had our chances and we could have taken it. But let's look at the future because it's very bright and this team has everything going for them. If they could reach the final here, they can achieve bigger things." Looking back at the videos of the final, if not immediately but after they reassemble, the team would realise how close the match was – like playing on a knife's edge. And in the discussion later, each of the players would realise that along with skills, fitness and vision, there is a fourth ingredient required to complete the mix – ruggedness. Not only physical ruggedness but also mental. Japan held the edge there. They played defensive in the Indian zone with a full 5 minutes left to play! The Indian women's bunch is a smart lot. It won't take them long to figure out the answers as to why gold became silver.